There's only one way... — Atlanta Sealcoating, Inc. When choosing a company for your parking lot needs you take many factors into consideration. The main reason is typically affordability and next is probably experience. When considering a company you must weigh in how all of the necessary factors relate to the process and how they perform it. Experience and years in business isn't the only areas to dissect. Is the company you've just hired educated in the process? Does the company perform the work first hand? How much of the work do they sub-contract out? Are the sub-contractors educated and skilled in the process? These are some questions you may ask when choosing a vendor to provide asphalt maintenance and repairs. Attention to detail; anyone can purchase the tools and equipment but how they use it is what makes the difference. Are they mindful of areas that are not asphalt? Do they take the time to ensure only the correct areas have sealer on them? Is the level of detail exceeding your expectations? 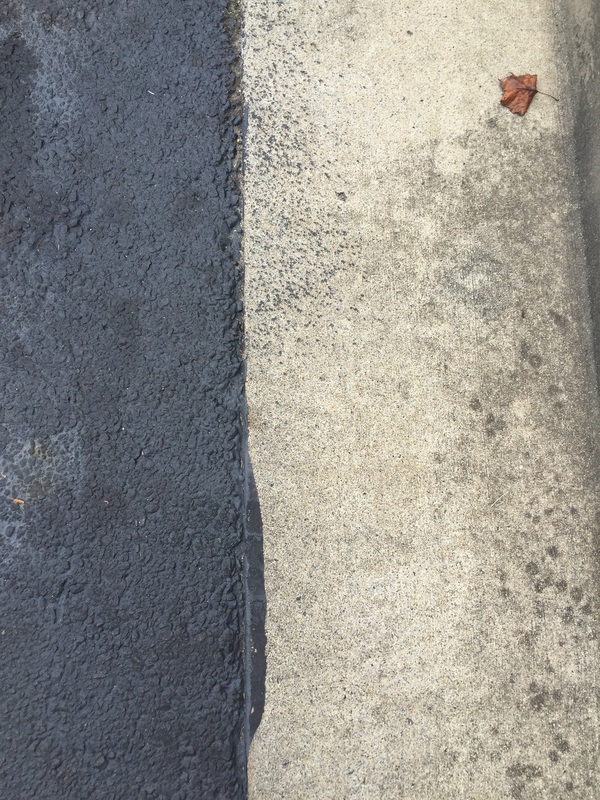 One step in the process is making sure the edge of the asphalt is sealed maticulously and in a manner that does not affect the concrete gutter or sidewalks. This routine step is easily deligated to the newest member of a crew but unfortunately this means your asphalt won't be the only thing being sealed. Although some level of run-off and overspray is to be expected, the difference is in how much it is controlled and avoided. The right company will make certain that all your asphalt's edges and property boundaries have nice clean edges and contrasting lines-overspray and run-off is minimized. The next time you're walking around your property or simply walking into your neighborhood grocery store, take a look at the lot's edges. Is it more common to see overspray over clean concrete? If it is then that's not the company to for you. The application of sealer is not the only area to focus on. Critical stages occur prior to and post application. How well is your vendor preparing the sealer? Is the product being over diluted to 'stretch' material? Are the correct additives added? If the conditions are not right the sealer can take longer to set or not be at the correct consistency to offer protection as it is intended. Once applied, sealer should be allowed to dry sufficiently prior to applying a second coat. Further more, correct dry time is needed prior to adding your parking stripes and stencils. Failure to do so can lead to reaction of the paint that offers discoloration. Paint can also react if 'quick dry' paint is used too soon without the proper drying time, the result, white paint that looks yellow, yellow that looks brown. There's only one way to have your asphalt sealed...it's the right way. Although we don't market ourselves as perfection, we make sure to be up to date with the latest and educated in all aspects of the work we perform. We employ a level of detail that is unmatched and together with our decades of experience we aim to surpass the competition. Contact us today for a free estimate on the work needed on your property.